This home owner purchased an above ground pool, that they were told by the manufacturer could be partially in ground with out any issues. After three years of being installed this way, the pools structure started to fail and the pool began to leak. 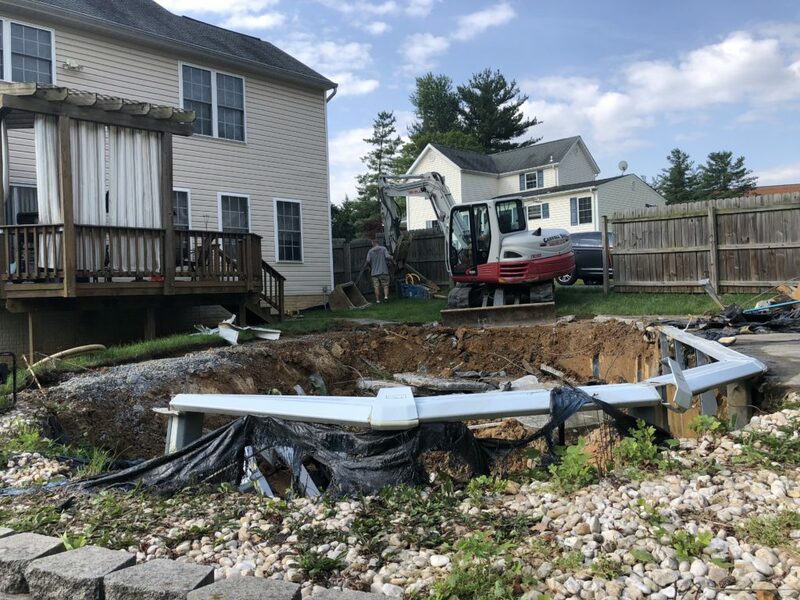 With a failing structure, the pool became more of an eye sore than it did a relaxing spot for the homeowners to enjoy; normally for an Above ground pool removal you would simply break down the structure and remove the it. However being dug into the ground partially this home owner thought it was best to leave it to the experts. As you can see from the picture above this was not just simply breaking down the above ground pool structure and removing it, the pool was dug down about 4 feet into the ground. There was also a patio, and layer of rocks and stones that outlined the shaped of the pool. Carroll Bros Contracting came, removed the surrounding area, removed the pool structure, filled the hole with dirt, graded, seeded and finished the area with topsoil. 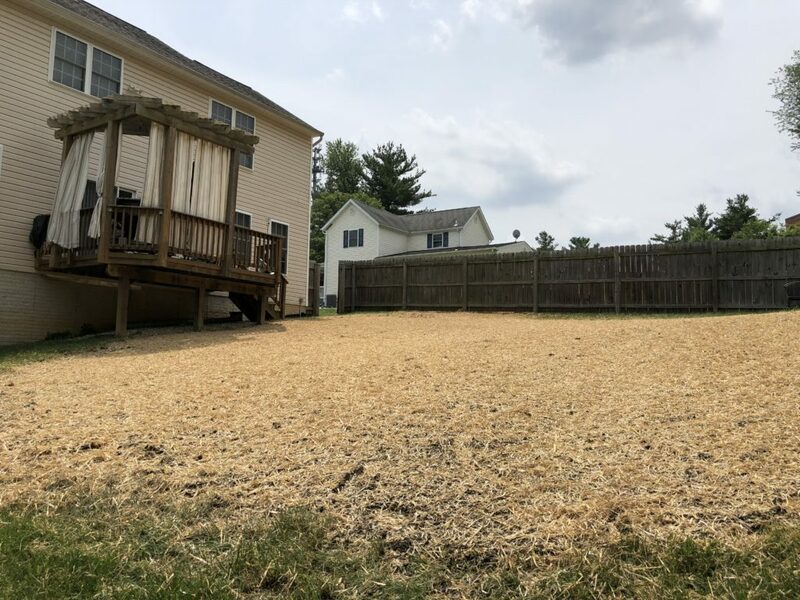 Now this home owner doesn’t have an eye sore of a failing structure to look at in his backyard and the family can enjoy a perfectly graded backyard.